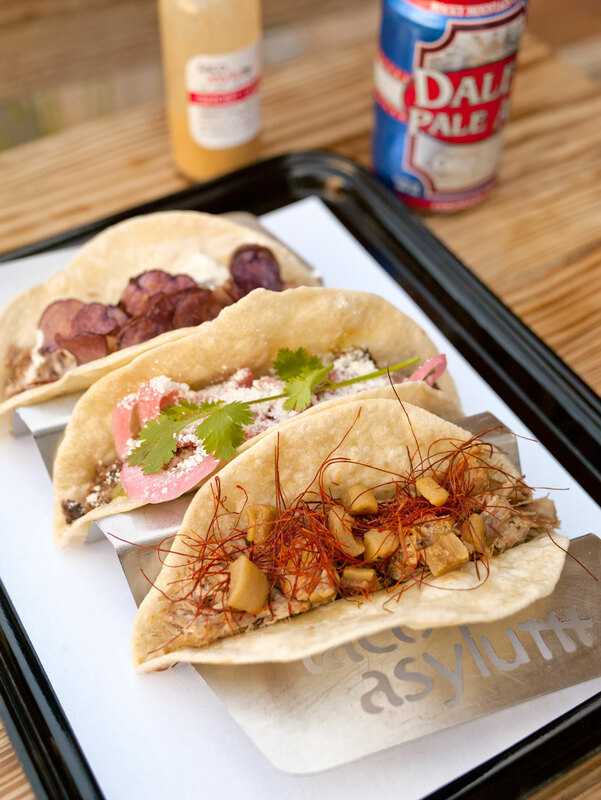 Refuel at Taco Asylum, the most-buzzed-about restaurant in the Camp, which is itself a buzzed-about group of shops. The menu lists nine tacos, and that’s about it—but they’re all delish. We like the chickpea purée with wild mushrooms and the short ribs with pickled red onions. Wash it down with a canned microbrew or Maine Root soda.